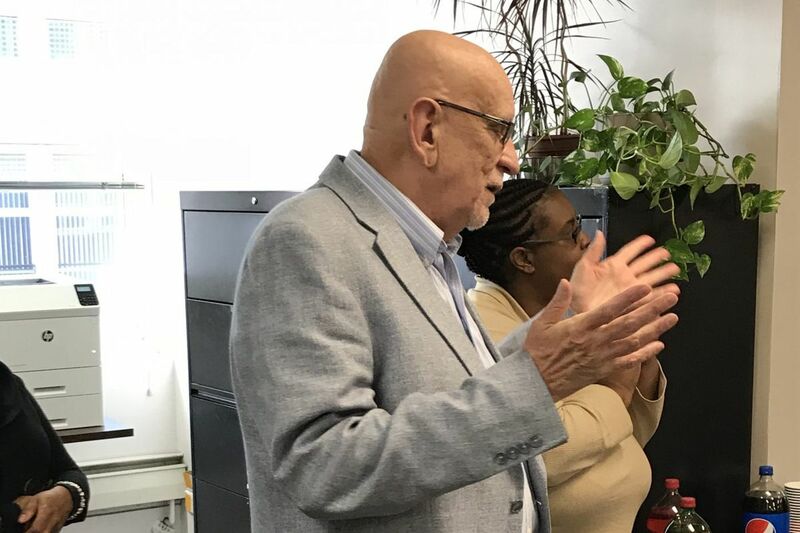 PCA's Joe Snyder, an expert on aging, retires - and finds applying for Medicare "maddening"
Joe Snyder, the longtime head of Older Adult Protective Services at the Philadelphia Corp. for Aging, retired at year-end 2017; now he tackles which Medicare policy is best. Green's passing at age 62 occurred "even though he ate right and worked out all the time," said Snyder, 66, and the decades-long director of Older Adult Protective Services at Philadelphia Corporation for Aging. "He was an uncle to my son. … We talked about everything, did everything together. I was sure he would eulogize me." "His death definitely prompted me to retire," said Snyder, a Bristol, Pa. native. "Even as an expert on aging, I can't believe how complicated this is," said Snyder, whose former employer, the PCA, advocates for seniors in Greater Philadelphia. So Snyder made an appointment with a Medicare counselor at the nonprofit CARIE, the Center for Advocacy for the Rights & Interests of the Elderly. "I met with Mariel Lorenz, a counselor at CARIE, Everybody should go to a Medicare counselor," Snyder added. She gave him some homework and paper worksheets to make an educated decision. CARIE is one of several nonprofits in Philadelphia — the others include the Mayor's Commission on Aging, and Einstein Medical Center Premier Years – that give free appointments with a Medicare counselor as part of the federally funded APPRISE network. Counselors assist with questions about Medicare benefits including prescription drug plans; Medicaid; Medicare Advantage Plans; and Medigap insurance. Counselors also screen beneficiaries for cost-saving eligibility and the Low Income Subsidy ("Extra Help") and the Medicare Savings Program. "Anyone who researches Medicare knows it's overwhelming," said Christine McBennett, the APPRISE Program Director at the Mayor's Commission on Aging. "Sit down with someone who's objective and translate the information. It's so unique and there is just one window of opportunity to make a lot of decisions. It's fraught because we deal with a lot of low-income people, and that has a huge impact on what policies they choose." Beneficiaries don't understand the implications of not signing up for Part B during the Initial Enrollment Period and may end up having to pay a penalty based on how long they delayed enrollment. Beneficiaries who are still working and have coverage through active employment may decide to sign up for Medicare when they don't have to. Beneficiaries aren't aware that Medigap insurance is a separate insurance "product" and beneficiaries may not be eligible to purchase a policy once they are beyond their period of guaranteed issue. Start thinking about it before you turn 65. Talk to people who have already been through the process. Try to consider your current needs as well as those in 10, 15, 20 years before making your decision. Personally, Synder estimates that his Medicare and supplemental insurance could cost between $300 and $400 a month. He's still trying to choose which plan he'll sign up for, adding that "I'm continuing my due diligence. And seniors have to look at it every year. That's maddening, because you are penalized if you don't get it right. Moreover, if you're alone, sick or you have mild cognitive impairment, how could you do this on your own and do it correctly?" Snyder also noted that even though he will be paying those premiums every month, he still won't be covered for dental or vision insurance. Separately, he said, he will be succeeded by Jennifer Spoeri, his assistant director. "I'm leaving this job – but not my career," Snyder added. "I'll still be running the Philadelphia Financial Exploitation Task Force through 2018 and doing expert consulting." As for Medicare, "It can be maddening if you do it alone. I earned these by working for many years – these Social Security and Medicare benefits. I'm in the industry, I'm mature and I thought I knew everything about aging. But I didn't."